Unlike MTN and Orange Cameroon, for whom credit transfers have been considerably simplified with the arrival of Mobile Money, other operators including Nexttel, Camtel and Yoomee, which do not yet have an electronic wallet, we are obliged to always use call boxes or points of sale; sometimes at long distances or unavailable at certain times, especially at night. Moreover, even with Orange and MTN Cameroon, it has often happened that one has money in the electronic wallet of an operator, and that one needs communication credit in the telephone of the other operator . If you've ever had any of these difficulties, or if you've ever dreamed of being able to buy communication credit for your MTN number from your Orange Money account or vice versa, then you're probably going to enjoy the Refraiche platform. 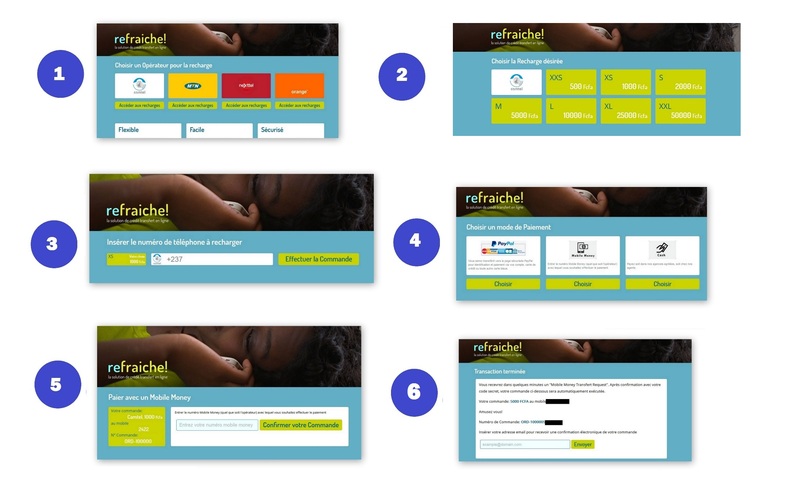 Refraiche.com is an online credit transfer site, which allows anyone from Cameroon or anywhere in the world to buy credit for online communication to Camtel, Nexttel, MTN numbers. and Orange. Only Yoomee is still missing. I- How does it work? Among the 4 operators available: Camtel, MTN, Nexttel, Orange. We have the choice between payment via PayPal (which includes Visa, Mastercard) Mobile Money and cash payment in an agency. For payment via Mobile Money, this simply involves entering the MTN Mobile Money or Orange Money phone number from which you wish to purchase the credit. The request is then confirmed and one is invited to enter his e-mail address. Once the e-mail address has been sent, you will receive a confirmation e-mail instantly. Once the order is validated, we receive a few minutes later on his mobile, a message requesting confirmation of a withdrawal of money from his account. It must then confirm the withdrawal by typing his secret code. The withdrawal time of the cash withdrawal request from the account can range from minutes to tens of minutes, suggesting that the withdrawal transaction is initiated manually. Fortunately, sending the credit is almost instant after validation of the payment. Request for withdrawal RefraicheOne of the things I particularly liked about Refraiche is the fact that charging is free. The only fees that were charged to me were those provided by the operators for withdrawals, ie 30 Francs for a recharge of 1000 Francs and 150 Francs for a recharge of 5000 F. For Camtel recharge, moreover, the platform will even further; the transaction fees seem to be covered by the platform. When I made a 1000 F recharge to my Camtel number, the withdrawal amount requested by the platform was 970 F for a total of 1000 F with the 30F withdrawal fee. If Refraiche is not the only online platform to offer this type of service, it is to my knowledge, the very first to offer Camtel refills and especially to offer, in addition to traditional electronic payment methods, payment via the mobile payment services of our local operators. The waiting time before processing the order is sometimes quite long. 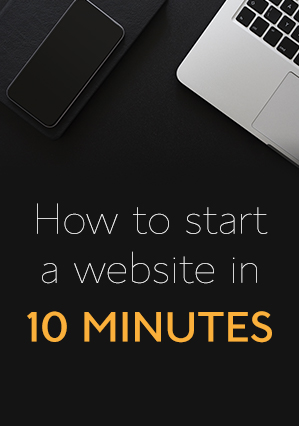 When you need to reload your account urgently, 30 minutes of waiting are an eternity. Another thing that I deplore with the current service is the fact that the platform does not notify the number that paid for the service, the order processing or the actual deposit of the credit in the recipient account. An SMS which would say "Your payment of 1000 Francs for the purchase of credit on return .com has been received ..." or simply "Your credit transfer to the number XXXXX has been done successfully ..." would in my opinion, really improved the quality of the service; and I will gladly pay 25 F or 50 F more in fees to receive this confirmation. While it is very significant that the site has made available to its users a phone number that does not sound in a vacuum, however, I found the reception quite cold. I had the impression during my first call that the person on the other side did not seem very happy to receive my call. Even though in the end my problem was quickly resolved. Finally, something else that the customer service should improve for me is the tracking of transactions. If there is a problem in the processing of the transaction, the platform does not initiate communication with the client to inform him. I had to call the next day to be informed that my transfer could not be sent after several attempts (I had added a Yoomee number on Camtel, thinking it would work). In the meantime, I had spent several hours waiting in vain for the credit to be sent after payment had been accepted. And yet a simple notification by email or SMS would have allowed me to contact customer service sooner and avoid unnecessary hours of waiting.